This week I met with Harjit, founder of ethical fashion accessories brand Jewelled Buddha. Listing necklaces made from upcycled saris and unique silk scarves, Jewelled Business works with social enterprises and small communities empowering marginalised artisans to earn a dignified and sustainable livelihood. Q: Who is Jewelled Buddha? I'm Harjit, founder of online ethical brand Jewelled Buddha. I partner with House of Wandering Silk - a social enterprise based in India, who works with women’s cooperatives, NGO’s and Self-Help Groups. We bring authentic, timeless artisan accessories to the global market. Each purchase empowers marginalised artisans to earn a dignified and sustainable livelihood, enabling them to achieve financial independence and support their families. Currently, I run the business on my own, so there's a lot of juggling going on, but there is a “silent partner” in the business, otherwise known as my long suffering husband who kindly ferries me around to events and craft fairs! Q: Who makes your jewellery and scarves? We have an exquisite collection of sari necklaces designed in-house and handcrafted by artisans who are employed by our partner. Parvez originates from the state of Bihar and Achui is from Manipur that borders Nagaland and Assam. As immigrants to Delhi, both Parvez and Achui come from very poor backgrounds. Our Kantha scarves are handmade by artisans from women’s cooperatives based in West Bengal. The process of sourcing, preparing and stitching vintage saris to be transformed into Kantha scarves is a long one. The journey begins with the sourcing of vintage saris from a community of select Gujarati sari traders in Delhi. This is done in-house to ensure that only the most beautiful saris are selected. They then go through a process of quality control and preparation before being sent off to a remote village in West Bengal. 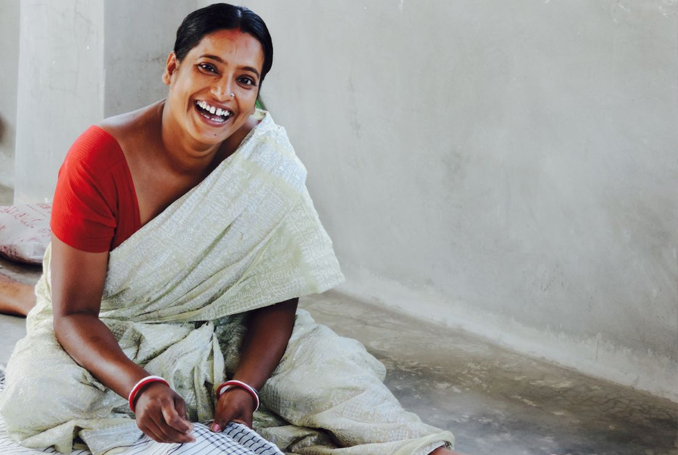 Here, artisans who have been Kantha stitching for generations, start the labour intensive work of transforming a piece of sari into a beautiful scarf. Our Shibori silk scarves, made by a cluster of Self Help Groups in Rajasthan, are run by a former child-bride whose inspiring work trains women who have suffered gender equality, violence and child marriage. 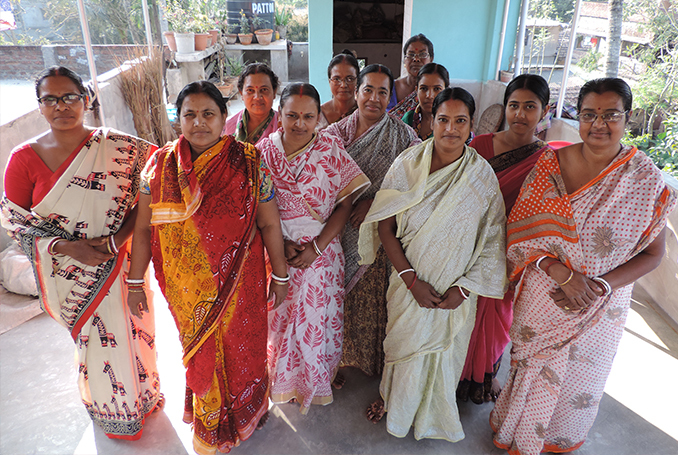 As a result, this enables them to seek livelihood opportunities, assert their independence and gain self-esteem. As for our hand spun, hand-woven Khadi cotton scarves these are also made by cooperatives in rural communities. I was lucky enough to visit the social enterprise and Kantha artisans a few months back. It really connected me to my business in a way I’d never experienced before and I realised just how special our products are and how much work the artisans put into creating them. I travelled to two cooperatives deep in the rural villages of West Bengal, spending days with the artisans, getting to know them and interviewing them about their lives. It was proof to me that what we do as social businesses is so important. I could physically see for myself how fair trade had benefitted the lives of these women. Q: What makes your jewellery and scarves different to the high street alternatives? What differentiates us from high street alternatives is that our products are exclusive and one of a kind. All are handcrafted, timeless and the designs are not mass marketed. 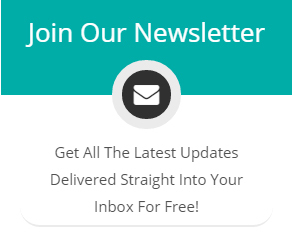 Our customers who buy from us do so because they are looking for something that very few have. I believe people don’t just buy into products; they buy into inspiration, stories and now more and more are being guided by their ethics. By buying something that affects the lives of others, customers are now a huge part of being able to affect change, empowering artisans to earn a living wage and seek livelihood opportunities that benefit themselves and their communities. Sure, high street fashions can get in on the act and incorporate handmade trends in their designs, but I feel there’s no substitute for the real thing. Our products have an authenticity you won’t find on the high street. Those who appreciate the real thing, made by real artisans, know the true value of why we do what we do. Apart from being beautifully designed, our scarves and jewellery are all created from recycled saris, upcycled into quality, luxury products. The textiles used in our scarves are of the highest quality. So much thought goes into the quality of the handwork and the finishing is of the highest standard. Our jewellery is unique because it is created from the left over sari fabric used in the production of our Kantha scarves. This means that every last piece of fabric is used from the vintage saris sourced and there’s no waste. Q: Why ethical scarves and jewellery? The speed at which clothes are being made and consumed has not only impacted the environment, increasing landfills and placing huge demands on natural resources such as water, there are also social implications for everyone. As a business that champions ancient artisan techniques, one thing that concerns me is how mass manufacturing is destroying artisan industries and affecting the lives of whole communities. I believe it’s important to preserve these handmade techniques that have been passed down from one generation to another. They are inherent to the cultural identities of communities, providing much-needed income to rural communities. The fashion industry’s model of cheap, trend driven, excessive production needs to change along with our never-ending thirst for cheap clothes. 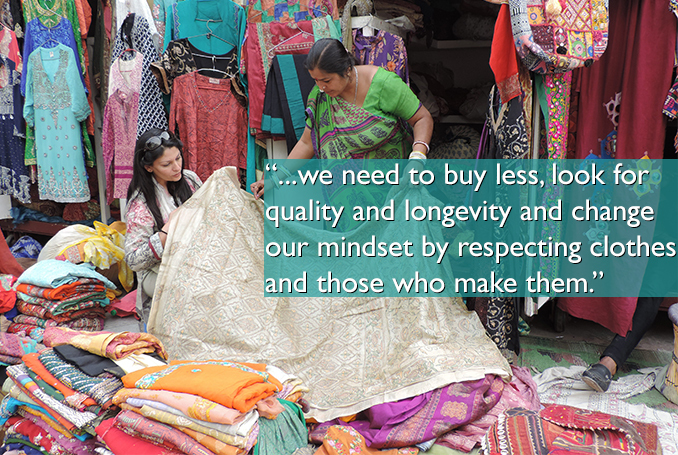 In essence, we need to buy less, look for quality and longevity and change our mindset by respecting clothes and those who make them. Q: What are your plans for Jewelled Buddha? I’ve got so many plans! I’m currently looking at sourcing more beautiful handmade textiles. The plan is to grow the business in this area and also work directly with artisans and social enterprises in other countries. I managed to meet quite a few on my trip to India. This was definitely the highlight of my business, apart from my very first sale! It made me appreciate the interdependent relationship we all have in ethical businesses. Every time I sell a scarf or necklace, I know who made them and I can pass that experience on to customers. High street brands can’t compete on that personal level. It’s a special type of shopping experience you won’t get anywhere else.